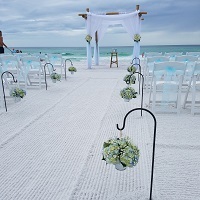 Sheppard Hook & Fresh Flower Pail Aisle to Match your Wedding Colors. *This selection includes Hooks and Flower Pails only. Additional décor pictured must be requested separately.